You won’t need expert help only when garage door springs break but when they become loose and noisy too. 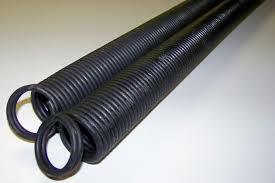 We are at your service for any and all garage door springs repair Houston services. You can call us to schedule a routine service, fix problems, or replace broken springs. Each and every time, our company helps urgently. There isn’t a single spring problem that doesn’t require immediate service. And we are here to make things so much easier for you. You just dial our number and a pro will come out in no time to provide torsion or extension springs repair in Houston, Texas. No matter which spring type you own, it’s not safe to fix it yourself or to postpone the service. We send experts out quickly to provide affordable garage door spring repair and take care of any problem. One of the biggest concerns today is broken springs. But before it comes to that, In Town Garage Door Repair Houston can offer solutions to a number of relative problems. We can actually keep springs from wearing – at least prematurely. Made of steel, springs might rust. Tensed to balance and lift the garage door, springs become loose overtime. And then, it’s the matter of the garage door balance. If the springs are too loose, the balance of the door will not be right and this will affect its performance and might put you in harm’s way. Do call us for a number of extension and torsion spring repair services. Replacement of cones, brackets, bearings etc. Don’t hesitate to quickly call should the springs snap. An expert in broken spring repair will respond quickly. They have the skills to replace any spring. Want to replace galvanized springs? Is the oil-tempered torsion spring broken? Is one of the extension springs broken? The pros replace them all irrespective of brand. When it comes to extension springs, they are both replaced to continue counterbalancing the door correctly. The pros bring the garage door spring replacement and make any adjustment needed to ensure the balance of the door. Got troubles today? Are you looking for insured and certified technicians to provide garage door springs repair in Houston? Contact us for any spring and all services.